Khadzhybei Estuary (Khadzhybeiskyi lyman). Map: VII-11. 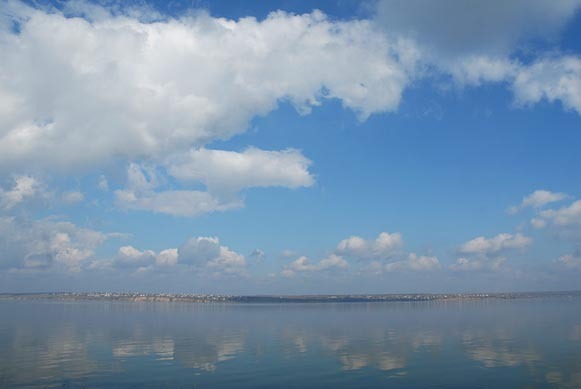 An estuary on the northwest coast of the Black Sea near Odesa. Separated from the sea by a 4.5-km-wide sandbank, the estuary is 31 km long, 0.5–2.5 km wide, and up to 2.5 m deep. It covers an area of 70 sq km. The purported curative properties of its black silt led to the establishment of the Khadzhybei health resort on its shore. The Malyi Kuialnyk River empties into the estuary.